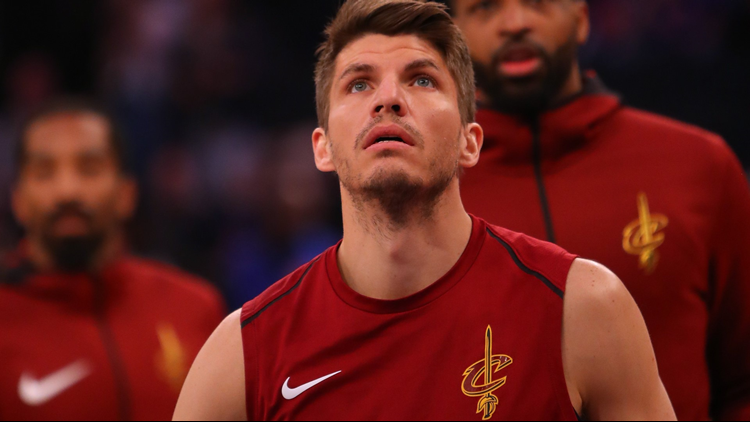 Kyle Korver played a season-low 19 minutes in the Cleveland Cavaliers' Game 5 loss to the Boston Celtics in the Eastern Conference Finals. It took more than nine minutes for Tyronn Lue to make his first substitution in the Cleveland Cavaliers' Game 5 matchup with the Boston Celtics in the Eastern Conference Finals on Wednesday night. And when he did, Kyle Korver was nowhere to be found. Despite being a key cog in the Cavs' offense -- and recently, a starter -- Cleveland's top 3-point shooter would have to wait until the start of the second quarter to see his first action on Wednesday night. And even once he did enter the game, his playing time was sporadic, as he appeared in a series-low 19 minutes in what was ultimately a 96-83 loss to the Celtics, who now lead the best-of-seven series 3-2. After the game, Lue was asked about his use of Korver, who scored 7 points on 2-of-6 shooting. The Cavs' head coach admitted it wasn't his initial plan to sit the 37-year-old as long as he did in Game 5, but he was ultimately thrown for a "loop" by a rotational adjustment made by Boston head coach Brad Stevens. "Initially, he's been playing [Semi] Ojeleye in, so that's kind of been Kyle's matchup when he comes into the game," Lue explained. "But he didn't play him tonight so it kind of threw us for a loop." While Korver has largely struggled defensively in this series -- particularly when guarding Celtics forward Jaylen Brown -- it seems clear at this point 19 minutes isn't nearly enough for a player who on many nights has been Cleveland's third most reliable offensive player behind LeBron James and Kevin Love. With Korver on the bench for the entirety of the first quarter, the Cavs fell behind 32-19, a hole they never dug themselves out of. Coming back to Cleveland for Game 6 on Friday, it will now be up to Lue to counterpunch Stevens' benching of Ojeleye, who has averaged just 13.3 minutes per game in the Eastern Conference Finals. If he doesn't, Korver -- and the rest of the Cavs -- could soon find themselves sitting for a whole lot longer than just one quarter.